Today, we talk about our "connected" world, and the true value of that is �connected machines� add powerful new capabilities. The result of added information allow for faster reaction to problems, more intelligent solutions and a better lifestyle for people. 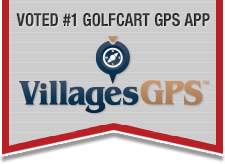 Imagine, your golf cart connected with a SmartCART device and never worrying about your golf cart being stolen or lost or if a Loved One safely makes it to their destination. Connected Golf Cart technology empowers you to remotely locate and monitor your golf cart or shutdown the starter from any desktop, laptop, smartphone or tablet. Log on to our website, click the Locate Button�.and see your cart on the map with address, speed, and direction of travel in less than 20 seconds. IT DOESN�T GET ANY EASIER THAN THAT! We are so confident that you will love our products and our excellent customer service, support and training that we give you a 30-day no questions asked money back guarantee. You have nothing to lose�.but your cart! DirectTRAX, is a solutions provider in the Telematics industry. We provide affordable and high-performance asset tracking and security devices that use GPS, wireless and/or satellite communications and the Internet to provide services to people and organizations whether it�s for security of your asset or Peace of Mind when a loved one is traveling. We are headquartered in Tallahassee, FL and have Authorized Dealers in Huntsville, AL, Nashville, TN and now, and most recently, in Fruitland Park, FL. Since 2004, DirectTRAX engineers have certified and evaluated fleet management & asset tracking solutions and services. We have long term partnerships with several GPS manufacturers and we work jointly to provide real time quality-driven tracking solutions. As GPS tracking specialists, we ensure easy and covert installations, intuitive online applications and tracking solutions that offer superior network coverage. Our experience in GPS product evaluation and extensive knowledge of the telematics industry gives us an advantage when determining the proper GPS programs for each customer. Give us a call or email us to discuss how we can help you. Last edited by Ad poster; 02-08-2016 at 03:13 PM.